Welcome to the Prescott School Community—home of the Prescott Wolves! Prescott is a magnet cluster school (Kindergarten-8th grade) focused on literature and writing. Currently considered a “neighborhood school,” Prescott is located on the corner of Wrightwood and Ashland just kitty corner from Wrightwood Park. Chicago Magazine names Prescott #14 of 400+ elementary schools in Chicago in its September, 2016 issue. Highest ranking on CPS scale for seven consecutive years. Prescott is ahead of other schools in preparation for the new Common Core State Standards and the Next Generation Science Standards. The new reading, writing, and math assessment, the PARCC, rolled out during the 2014-2015 year. The new assessment will surprise many parents across the US, especially middle-class parents who have been lulled into the belief that they have a great school. To make the transition, schools should have been preparing for at least a year prior. Prescott prepared three years in advance. In science and engineering learning, Prescott completed overhauling its curriculum in 2018, also well in advance of the district and state timelines. Prescott scores in the 91st percentile of schools nationally in Reading (NWEA-MAP) and top 89th percentile in math. Prescott’s PARCC scores continue to climb to one of the highest in the state of Illinois. Prescott emphasizes a strong home-school connection. Monthly parent newsletters and many family nights a year (curriculum, reading, math, and science) are two examples of our unique home-school connection. At Prescott, the social-emotional learning is as critical as academic learning. It’s important for children to learn persistence, teamwork, and problem-solving as part of their social-emotional development. Students learning in these types of environments do better academically. Prescott is a small school with 470 students Pre-K through 8th grade. Excellent rating on Creative Schools for arts instruction. 80% of faculty holds a Masters degree from Erickson Institute, University of Illinois—Urbana-Champaign, Michigan State, Indiana University, Northwestern University, Washington University in St. Louis, University of Wisconsin-Madison, College of William and Mary,, and other highly acclaimed colleges and universities. Principal Erin Roche (former Math and Language Arts Teacher; 14 years in administration, 12 in principalship; doctorate from Vanderbilt University, which is #1 in nations for educational leadership); honored by WGN as one of Chicago’s Very Own for championing the Chicago Children’s Choir. K through 8th grade exposed to a challenging, coherent curriculum aligned with the Common Core State Standards. Rigorous inquiry-based science curriculum aligned to the Next Generation Science Standards. DePaul University Science Education—DePaul recruited school to mentor teacher candidates from School of Education—over 50 university students per year observe or student-teach at Prescott. Additionally, DePaul’s science education students come to Prescott on Wednesdays to teach science lab. 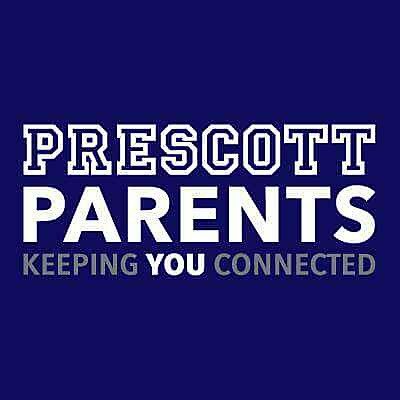 Prescott Parents, a 501(c)3 organization (www.prescottparents.com), offers a range of support for the school to engage the community and raise funds. Designed to keep all parents and supporters connected with each other and events at the school. 2015 Top 3% nationally in student learning growth in math NWEA and top 14% in student learning growth in reading. 2014 Prescott ranked in the top 10% nationally in NWEA-MAP student learning growth in reading and top 20% nationally in NWEA-MAP in math. 2014 Prescott ranked in the top third of schools nationally on attainment in Reading and Math. 2013 Prescott ranked in the top 1% nationally in NWEA-MAP student learning growth (4 million students take test). 2013 Prescott’s value added growth was in the top 10% of CPS in ISAT and NWEA-MAP across all categories. Extensive improvement in the last four years, thanks to dedicated parents, the new administration and faculty and a burgeoning neighborhood community. Caring, diverse school community that nurtures children to high academic levels and well-rounded skills. Prescott students were featured on WBBM Radio for their anti-bullying campaign.